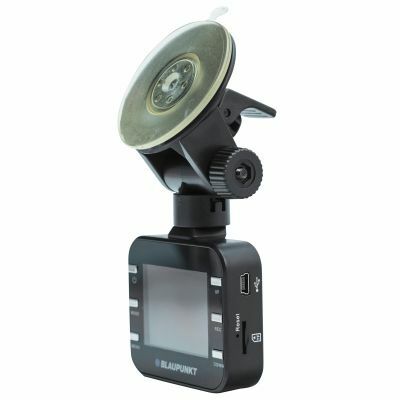 Blaupunkt BP 2.0 FHD Digital Dash Cam. The roundabout seen in this footage is one of the most notorious "crash for cash" insurance fraud sites in the UK. Two vehicles working together position themselves, one in front, one behind your own vehicle. The front car then brakes sharply for no apparent reason, causing a collision, after which a fraudulent and extortionate insurance claim is made against your insurer, with the driver of the other vehicle acting as "witness". At this roundabout the usual MO is this. The lead car sets off with a clear exit, and then just stops dead in the road, causing the target vehicle to hit the back of him. With usually just one occupant, claims are submitted for a car full of people with injuries, as well as other false claims, which is where the evidence from a camera comes in handy. I bought my camera online from Deemon Tweeks as they were also offering a 16gb micro sd card included in the price. I paid a total of £83 which included premium next day delivery and VAT. The unit is very easy to install. It is plug and play, with a very easy set-up. It has its own self contained battery, which can be charged from a continuous supply from the vehicle's cigar lighter socket, or from a USB device using the leads supplied. It can be set to record in various resolutions right up to full HD, with or without sound, and is fitted with an adjustable "G-sensor" which, in the event of a collision would protect the footage from immediately before the event from over recording. It can also be set to take footage in 30 second, 1 minute, or 2 minute files, storing them on the sd card until it is full, after which it will over record starting from the earliest footage. It can also be set to record permanently until the card is full, so can be used to record scenic journeys for your own pleasure. If the unit is left plugged into the vehicle's power supply, it will start to record every time the ignition is turned on, and then revert to standby at the end of the journey. 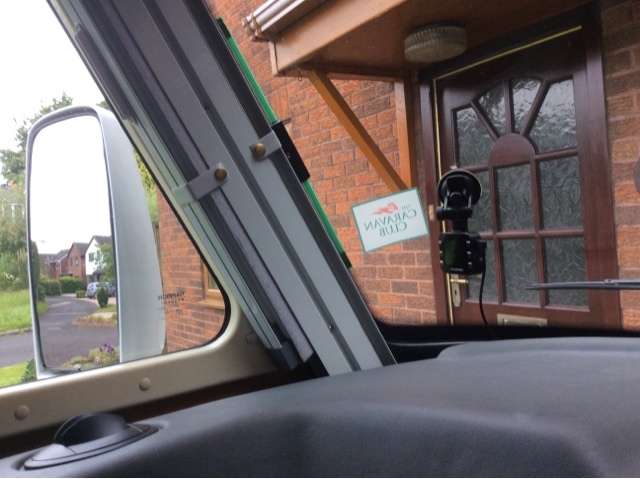 Once its own battery is charged up, and the unit is in standby, a motion detector can be set, so the camera starts to record in the event of movement detected in front of it, so also has a use as a CCTV security camera, recording any suspicious activity around the vehicle, before the vehicle alarm is activated. Finally, the camera can be un-clipped from its mounting and used as a still camera, to perhaps record damage and vehicle positions after a collision. These cameras have now been widely accepted for use in the UK, and Police now even appeal for footage from them from witnesses to serious incidents. However, mainland Europe has not yet grasped the importance of them, and I believe Spain for example, having now more or less accepted the use of satellite navigation units, have not yet accepted the use of dash cams quoting the possible distraction to the driver from the screen display. This little unit from Blaupunkt has the ability to turn off the screen display, and I have also mounted mine on the passenger side of the windscreen, with the display pointing away from me, the driver, towards the centre of the screen. This is the position the above footage was taken from yesterday. All in all a high quality piece of equipment, and highly recommended.